A leash can be a very effective tool when you have a new dog, no matter what her age. Leash training is much more than simply walking at two ends of the same rope. Your dog will learn many important and pleasing behaviors when she knows how to walk on a leash. Therefore, training your dog to walk on a leash will allow you to take her any place that allows dogs, and you won’t have to worry about the dog’s behavior. Consider buying a harness for your dog to wear when you are out for walks. 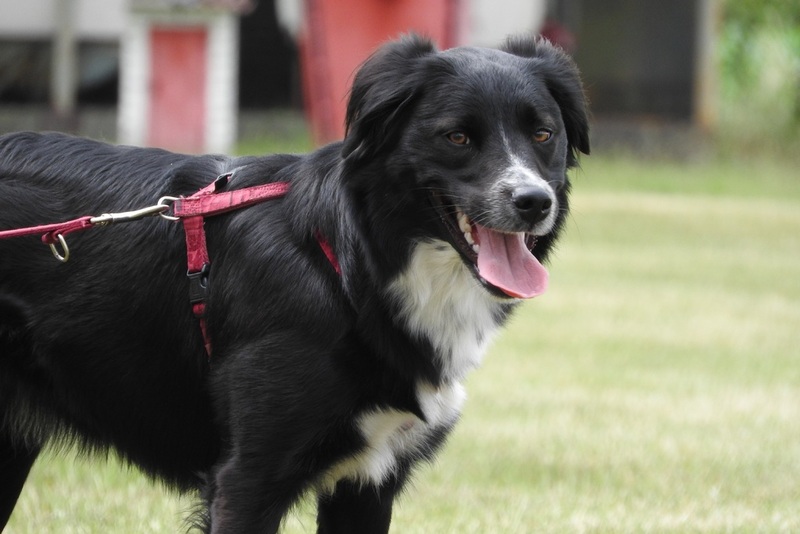 Most pet owners believe that the harness is more comfortable for the dog and keeps them from inadvertently hurting the dog if it jerks or tries to run away unexpectedly. Here are the steps you will need to follow when training your dog to walk on a leash. Introduce your dog to the leash and harness casually. Let the dog sniff it and see it well before you put either of them on. Don’t expect that she will know how to walk with you the first time. In the beginning, play with your dog and give her treats while she wears the leash for short periods of time. Don’t walk around during these first few experiences. Train the dog to come to you by giving a verbal cue and treats. Do this exercise with the leash on so that the dog learns that coming to you means food every time. She will also learn to stay close to you if you are keeping treats in hand. Stand right next to the dog, then walk a few steps away while keeping a little slack in the leash. Start doing this practice inside and then move outside where there are more distractions when you and your dog are ready. Now you can begin walking outdoors with your dog on her leash. It’s inevitable that you will run into issues during this stage of the training process. The important thing is knowing how to respond when your dog does something you don’t want her to. For example, if the dog tries to pull away from you, don’t pull back. Be still and do not move toward the dog until she comes back to you. If the dog lunges after distractions, you should be playing close enough attention that you see these things coming before the dog does. Offer her a treat and lead her in the opposite direction of the distraction. To pass the Canine Good Citizen test administered by the AKC, the owner must show control over the dog at all times. He or she must walk the dog on a loose lead without having to pull the dog. The dog should also be able to walk through a crowd on a loose leash without jumping up or acting shy or overly excited. Within just a few days of consistent training, you should be able to walk your dog on a leash in most situations.